11. 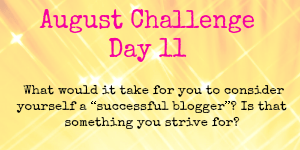 What would it take to consider yourself a successful blogger? Is this something you strive for? but in reality that isn’t for me.